Though, seems to loose a bit in the shadows and some of the shots are just a wee bit crooked. Btw, Phillie-t, per the rules of the forum you must change your display name to your real first and last name. This can be done under "my controls" on the upper right corner of the page, and then 1/2 way down on the next page which loads, on the left, under "display name." thanks for the response, Ive changed my name now. Yeah i love the look. Cant wait to shoot some more! Which 50D stock was it, out of curiosity? 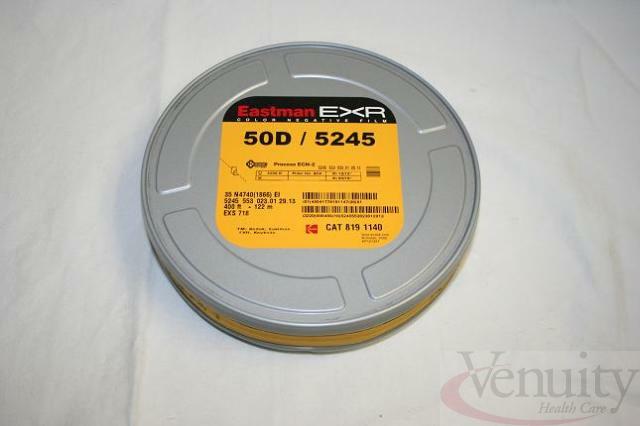 Something like this, Eastman 50D from 1992..the 16mm version! Ahh very nice. I've heard wonderful things about EXR stock, though never had the joy of shooting the 50D version. I recall workign with some outdated 200T EXR, which came out nicely I'm told. I think it looked great. Even when a film stock is "dead", it's still alive. Very much so. Looks good. I wouldn't have guessed it was 16 year old stock. What lens do you have on the CP? I like the sharpness. Is it a CP mount or has the camera been converted? ah. I have the 12-120mm Angie, and it doesn't look as sharp as that (though my 6mm angie prime is a beautiful lens). I might have to look into picking a 15-150 up. Although I am on the fence, a certain part of me wants to get my CP a new PL mount and lens kit, a new paint, super16, video tap, rails system, etc. etc. who knows how much of that I will actually do. Super-16 and the Archimedes electronics are the only firm plan I have to mod it right now. I'd love to do super-16 and Archimedes electronics, but im in the UK and i dont know if it would be feasable to send it to the US and back again. It's very expensive. Why would you say my lens is sharper? Its just a subjective reaction to the footage. Honestly there are probably a million things that could account for it. 50D is probably sharper than my normal 200t, even when 16 years old. Your probably running a higher aperture that would increase sharpness. You definitely had a higher quality transfer than the productions I work on normally pop for. But in general there does appear to be more edge to edge sharpness than mine, which is definitely a lens characteristic. Perhaps less vignetting, but that is hard to tell, it seems most shots are focused well past 5 feet. All of this incredibly subjective. If I can find a good CP tech in the UK, I'd consider training them under the right circumstances. I don't want distance to impede the Archimedes success. I looked briefly at shipping, looks like around 130 GBP to ship one way. That would add $400 to the cost, that's not good. I will have to sort that out. Do you know of many other CP users in the UK? Who do you typically have service your camera? If there is enough of a market it might be worth it to fly the tech to Alaska for training, or make a training DVD. Its not a terribly difficult install, but it has to be done properly, and I need to know every installer I certify is actually qualified and performing the required tests properly. Well you just added to my stack of work! All the feeling of accomplishment from putting a real numerical 5.0-36.0 volt meter in the battery monitoring section is gone! The slow stock ages much better than, say 400 or 500-speed stocks. Did you shoot at a lower EI than 50 to "burn in" detail on the negative over fogged areas? hello, firstly i didn't realise it was you who created the Archimedes! Well done it looks mind blowing. Second, sorry for living in the UK. Unfortunately I don't know of any other cp users, I'm like a lone wolf. I don't even know where I can get my camera serviced, so if you have any idea, please let me know! The install (when I do it) is approximately 2 hours, but then there are functionality tests to ensure the crystal is within spec, note the amps required to run at various speeds/voltages, trim pots that bias the feedback circuits, ensure the chip sees all feedbacks, etc. The tests are important to make sure the install was successful and the camera will function properly. Film is expensive. Production costs more so, so I definitely feel the pressure to make sure every install is absolutely perfect before certifying it. If I were to certify overseas installers (which it seems like I will need to at some point) they will need to have experience in the electronics of the camera (or similar cameras). They will need tools common to a camera tech, but not common to the average home installer. Frequency testers, multi-meters, controlled soldering stations, etc. Any installer I certify I will have to stand behind with my warranty, so I have to make sure its done right. Not to mention I have a few patents I am working on for future products at the moment. I have a lot of other ideas, and I want to make a name for reliability and simplicity more than anything. Like most people, I will take a rock if it works better than the latest and greatest electronic hammer. It seems today that the more powerful the electronic processing, the less thought goes into making sure the human to machine interface is a seamless and efficient experience; that the human can trust it to work, to never crash, never slow down or act 'spongy'. If you are planning a trip to Alaska, the install can be finished while you wait in a half day (or check out Girdwood or Matsu area while I work) then take the next few days (and a few rolls of film) to explore Alaska's beautiful Southcentral area. I would highly recomend driving down the Turnagain, getting shots of mountains against the inlet, and dahl sheep on the mountain cliffs. then hit up Alyeska Ski resort and go up the tram, so you can get shots from the unbelievable mountain/inlet vista (with a resort day lodge built in, or chair-5 restaurant down the mountain), just a few miles down the road is a wild life rescue reserve that has bears, caribou, moose, sitka deer, yaks, Buffalo etc in picturesque mountain/tundra landscape (looks nothing like a wildlife preserve. Done right it can be photographed in a manner that looks like its in the wild). Drive past that and through the tunnel and your in Whittier, one of the most gorgeous hidden treasures AK has to offer. Mountains steeply encircle the small town, with a deep blue-ocean port in front. Take a ferry to valdez and get shots of that beautiful town. Get a small aircraft flight up to nome or barrow and get shots of the culture the ancient Alaskan Natives that lives up there (there is a blanket toss/potlatch in Barrow to celebrate the whale hunt, conveniently around the time Barrow sees 24 hours of magic hour sun a day) Travel during the right time of year and every second your able to stay awake, you will have enough light to expose an image anywhere in the state. Then there is Denali, literally thousands of Glaciers, Deserts, Rain Forests,black sand beaches and some of the worlds best disc golf. As you can see I am a bit partial to the land (GBP to USD is favorable ya know...) If it makes more sense to make a trip of it, its a beautiful state. And you would get some amazing footage with your new camera to make it worth it. Get some slow motion shots of salmon jumping up-river, only to be nabbed by the grizzly bear wading in the waterfalls. The options are limitless. Anyway, if it seems like an workable option I can help set you up with some insider info on good photo-ops and itineraries for the state. As far as camera service, everything I have done has been in the states, so I have no good recommendation for a European shop. Whitehouse and Visual Products in America is Excellent. I do recommend a CLA done just prior the Archimedes upgrade, though this isn't terribly necessary if your camera is still operating within spec. I just don't want anyone to assume the electronics install includes a CLA. Even though I have done a CLA to my camera with success, I don't claim to be a camera tech (other than the electronics of course) and can't offer a CLA service in good faith. Though I would co-ordinate with the shop of your choice to streamline the shipments so you send it out once and get it back upgraded by me and CLA'd by a qualified shop. If you want my opinion however, the Alaska trip with 2000-5000' of vision 3 would be the best option. Interesting fact. Do you know the chemical reason behind that? I assumed the decay would be equal across all speeds, since I assumed film all grains were chemically similar, the difference being size of grains. Does slower stock prevent vinegar syndrome? Thank you for your detailed guide for what to shoot in Alaska, I reckon it would have to be next year but It could make sense, Id have to take the camera on the plane as a carry on thought. I wouldnt trust the airport staff to handle my luggage with the care needed to transport the camera and lens. Thought i could take on the lense with me and risk the body as it's pretty rugged. Alaska does sound amazing and would really put the camera through its paces. I'm pretty new to the world of Cinema products after getting the camera at a total steal ($200) with an amazing wooden tripod with O'conner head! I've looked up and they alone can fetch $1400. My stupid friend lent against the camera when i had it up against the wall and it fell down (it was attatched to the tripod) and the magazine suffered a break. I then had to glue the peice back on, kinda paranoid about a light leak as the footage I got back had some weird orange flashing at the base of the frame, it was intermittent but something told me it must be to do with the magazine. Maybe I'm wrong. Sorry for this Cinema products adventure, it's really not all that interesting but you don;t find many people still into them. Let alone created custom electronics for them!! That's dedication for you.